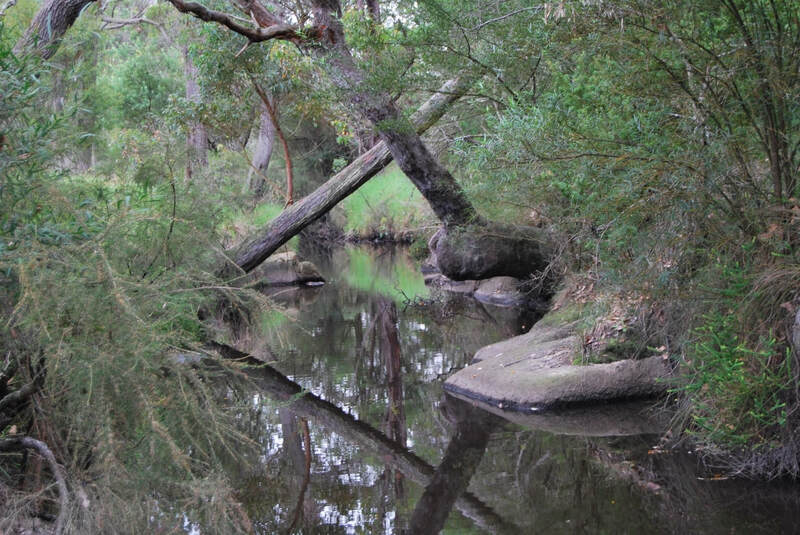 ​The King River is an important sub-catchment of the Oyster Harbour Catchment which is a nationally recognised landscape system for protection. Much of the work in the catchment is on upper catchment broad acre farms. The current (2018) project builds on previous work to rid the Billaboya reserve and associated unallocated crown land of woody weed infestations. Of particular concern are Sydney Golden Wattle and Blackberry. This project provides much needed engagement with the peri-urban and lower reaches of the catchment where the environmental pressures are more varied and complex to resolve due to varied land uses. 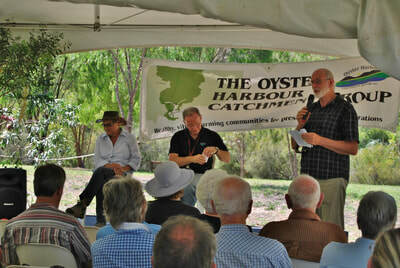 The catchment area is part of the South West Estuaries management program. The challenge is to maintain community interest built up over the last 10 years and build greater capacity across the community to control key woody weeds. The project also is preparing to re-vegetate areas along the river corridor that have a degraded habitat integrity due to the influence of the woody weeds and heavy infestations of Kikuyu and love grass. The area has a rapidly expanding population due to land development, subdivision and recreational impact and therefore the project aims to highlight and build the community values for the river corridor environment and its protection for perpetuity. 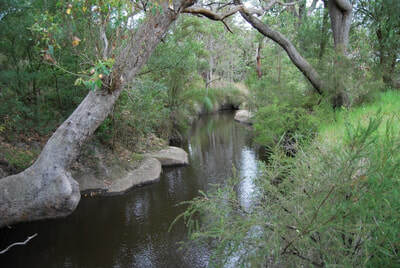 The project will review the 'state of the river corridor' in the middle reaches with a river assessment survey and planning targeted activities of weed control, re-vegetation and trials for techniques in re-vegetation and increasing local riparian habitat diversity. In addition several special interest busy bee activities will be undertaken in partnership with local community groups. Actions are documented and reported on to provide baseline information to facilitate ongoing project development. 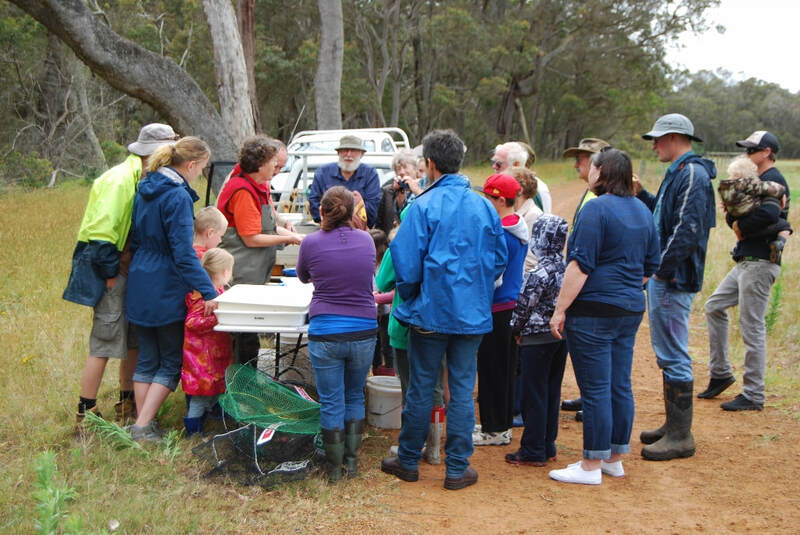 This approach has been refined over the last 10 years and it has been found that the community is interested and willing to support the weed control and re-vegetation efforts if they are given a combination of relevant information supporting their values of the area. Previously the community has stated that they highly value the naturalness and tranquility of the King River area. This project meets several of the South Coast NRM Inc strategies including those of cultural, marine and riparian significance. In addition, the project is supported by the City of Albany Reserves strategic plan and provides a conduit for community engagement and activity. ​Two specimens of the King river Perchlet were collected by G.C. Shortridge and presented to the British Museum by W.E. Balston in 1906. Between 1906 and 1976 only 10 specimens had been lodged in Museums, (Three of these by W.H. Butler to the WAM). It was first called the King River Perchlet. It is now called Ballston’s pygmy perch. FISH FACT: The Western Pygmy Perch (Nannoperca vittata) is one of the south-west's most widely distributed fishes. It is a lot slower growing than the Balston's Pygmy Perch and its diet differs in that it eats mostly from within the water column. FISH FACT: The Nightfish (Bostockia porosa) is one of the south-west's most widely distributed fishes. It is one of the largest freshwater fish in the region and is an ambush predator. ​FISH FACT: The Western Minnow (Galaxias occidentalis) is one of the south-west's most widely distributed fishes. It is also one of the most abundant species and grows to almost 20 cm, but is more commonly less than 15cm in total length.